New year, new you, new resolutions. 2013 has been a blast, but we know 2014 will be even better. If you weren’t able to fulfill last year’s resolutions, now’s your time to make up for it. Instead of just listing down your resolutions, DARE YOURSELF to stick to them. 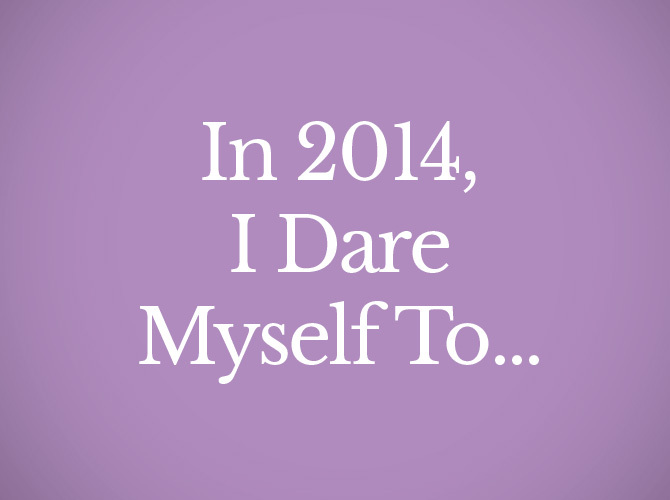 We're leading by example and sharing our dares for ourselves in 2014. Share yours, too, by commenting below!